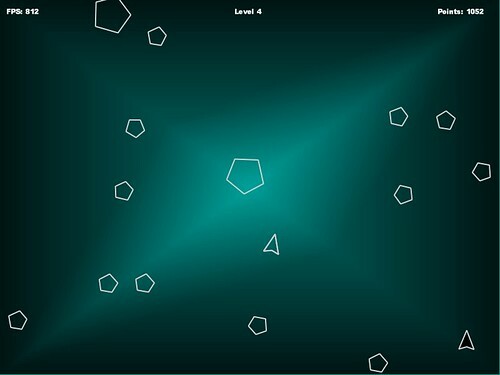 This is a simple remake of the classic game Asteroids. It is written in Java and uses the library Slick to draw vector graphics with openGL. The game is free software under the GPLv3 license. More info in the zip-file. Download Daveroids 0.5 (zip archive, 1.7MB) now and be sure to check Java's website to see if the latest version is installed! This is my old version from my programming course in high school. It uses Graphics2D and swing from the standard Java libraries. Shoot with space and steer with the directional keys. Latest version of my asteroids clone released. Full with fixes, features and better gameplay! Asteroids 0.04 released with highscore! This new version includes a new highscore list! Have released my asteroids game which is a remake of the classic game from Atari.